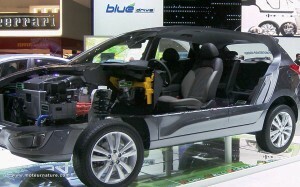 I’ve seen several prototypes of fuel cells cars from Hyundai. I’ve even had the opportunity to have a quick ride in one in 2005. I was impressed by that vehicle, it was quiet and refined. Still, it was a prototype, with no production intent. 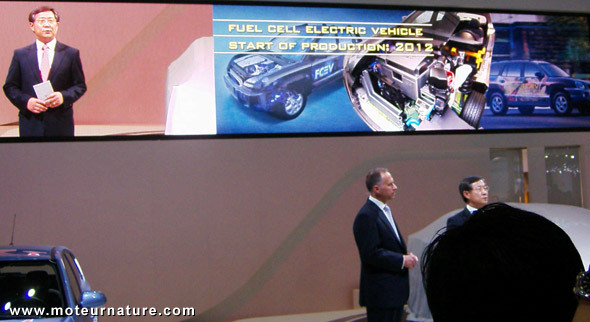 Of course I knew that sometimes in a far away future, there would be a fuel cell Hyundai, but without any idea about when that time would come. Today I know. 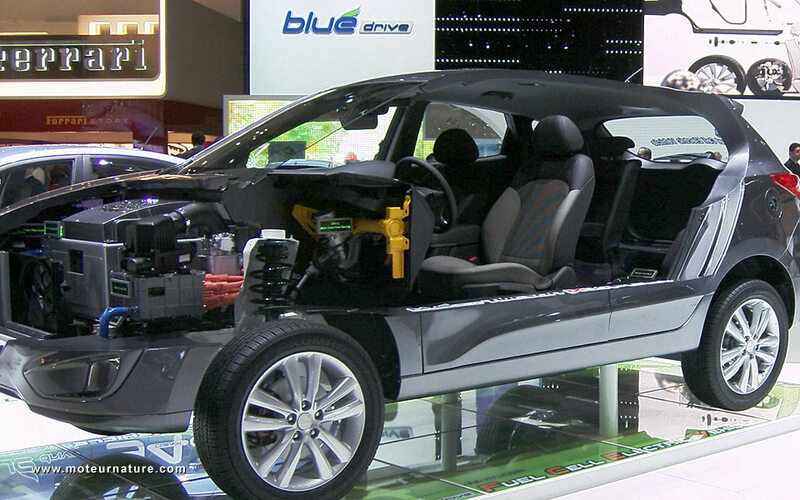 Fuel cell cars have had many detractors over the years, Hyundai shall prove them wrong with a car that promises to be zero emissions, with a much better range than electrics. Now, if only it could have a korean pricetag, it would be a real winner. We’ll see… At Geneva, Hyundai was showing the prototype of a Santa Fe with a fuel cell, but the manufacturer has yet to confirme that it is the model intended for production.